Director: Jonathan DemmeWriters: Jenny LumetCinematographer: Declan QuinnStarring: Anne Hathaway, Rosemarie DeWitt, Bill Irwin, Debra Winger, Tunde AdebimpeStudio/Run Time: Sony Pictures Classics, 113 mins. Jonathan Demme's unexpected foray into low-budget filmmaking may have made the case for pure and simple films better than the practitioners of Dogme 95 ever did. 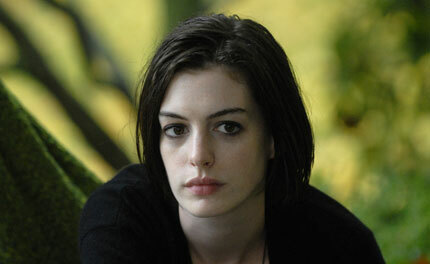 Written by Jenny Lumet (daughter of Sidney), the ebullient and turbulent Rachel Getting Married is mostly about Kym (Anne Hathaway). She’s a complicated individual, funny and bitter, a recovering drug addict, and also something of a drama queen and crisis magnet who constantly reminds her friends and relatives of her damage. Most of them wouldn't say that to her face, but when she returns home for her sister’s wedding, things are said, and Demme captures them like a nervous documentarian huddling with a hand-held camera.Speed RacerThe film's two tent poles are the rehearsal dinner and the blessed event itself, each of which plays out in something resembling real time. They're long, but they're never slow. At the dinner we hear speeches from moms, dads, cousins and crazy uncles, and Demme seduces us, invites us to the table, eases us into the ebb and flow of the jokes and sentiments so that when Kym takes the mic, we feel it. We sense the room's collective dread, we share the spoiled moment. It would have been easy to build this entire scene around Kym as an element of suspense whose involvement we crave (for the excitement she'll bring), but what Demme does instead is capture a family's joy so that when the warm feelings threaten to slip away, as they do from every family at one time or another, we share in the equal and opposite sadness. And then we hope the evening will recover (because it was going so nicely), and we smile when it eventually, sort of, does. The magic of this inverted suspense belongs in part to Demme's bold structure, which requires the patience to let the scene build over what must be half an hour. Someone else might have cut that down and destroyed the effect. The magic also belongs to Hathaway whose fierce and quivering performance—never showy, never upstaging the other members of this excellent ensemble—brings such astonishing depth to her character that when her face drew tight with tears, I sank an inch into my seat. featuring performances from Robyn Hitchcock and Fab 5 Freddy. It's weird, and it surely breaks some kind of storytelling rule that says you can't diffuse everything with a party. But sometimes you can. Sometimes you have to.